Chinese retail giant Alibaba said on Thursday that its revenue jumped 61 percent in the latest quarter as its core e-commerce segment chugged along, but profit for the period was dragged down by a one-off expense. The Hangzhou-based company said net profit was down 41 percent year-on-year to 8.69 billion yuan ($1.26 billion) in the quarter ending June 30. But it added that net income would have grown by 33 percent in the period if not for a compensation award for employees related to Alibaba's payments unit Ant Financial. 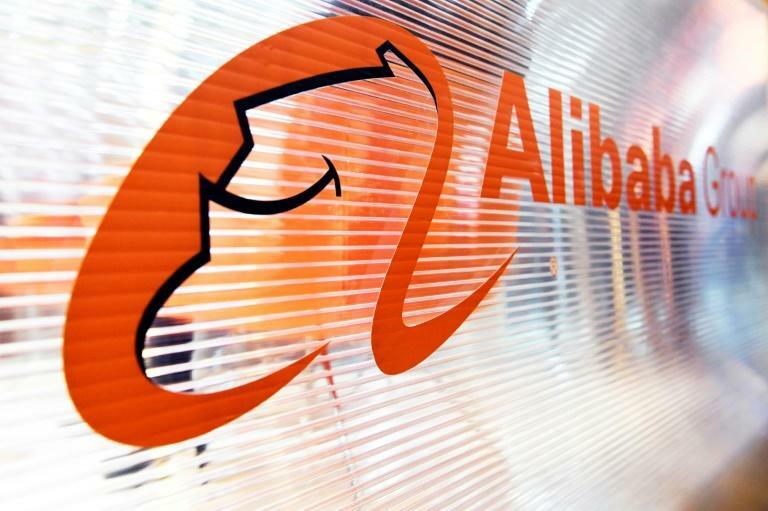 Alibaba, which has made billionaire founder Jack Ma one of China's richest men and a global e-commerce icon, has wowed investors quarter after quarter with sterling revenue growth fuelled by the growing appetite of Chinese consumers for one-click online purchases. But worries have emerged recently over data indicating that China's economy is slowing, including retail sales, as well as the potential impact of the US-China trade war. Those factors appeared to have no effect on the latest quarter, however, with revenue meeting analyst forecasts by surging 61 percent to 80.92 billion yuan. "Alibaba had another excellent quarter, with significant user expansion and even more robust engagement across our growing ecosystem," CEO Daniel Zhang said in a statement announcing the earnings. Alibaba's Taobao and Tmall platforms dominate e-commerce in China, but the company has also been pouring investment into a range of new initiatives to broaden its ecosystem, including bricks-and-mortar retail, cloud computing, digital media, the grocery sector, meal delivery and advertising. Earlier this year, Alibaba completed the acquisition of Chinese food-delivery leader Ele.me in a deal that valued the Shanghai-based start-up at $9.5 billion. In May, it led a group of investors that paid nearly $1.4 billion for a 10 percent stake in ZTO Express, an express-delivery company, and in July Alibaba took a minority stake in Chinese outdoor advertiser Focus Media to expand its ad reach beyond its online platforms. "We will continue to invest in strategic business opportunities and innovation to sustain our competitive advantage and for long-term growth," Zhang said. In a sign of its growing global ambitions, Alibaba also has upped its investment in subsidiary Lazada, Southeast Asia's leading online shopping firm. The spending surge is motivated by intense competition in China between Alibaba, internet giant Tencent, e-commerce rival JD.com, and rising upstarts like Pinduoduo for turf in the country's rich commercial cyber-landscape. The pace of Alibaba's activity has caused some concern that it could weaken profit margins, but its core e-commerce segment has so far provided a rudder of stability. E-commerce still accounts for more than 80 percent of Alibaba's business, and revenues in the segment surged 61 percent in May-June. On Alibaba's main Taobao online retail site, active users grew by 17 million in June to reach 634 million, the company said.